This week I have been looking for craft shows to sign up for and working on ornament ideas. I cut this primitive nativity scene out of a piece of scrap wood I found. I am not sure what kind it is? It’s the same piece that I made the tree and the maple leaf with. It might be lace wood? Or a species of mahogany? I like it and wish I had more. 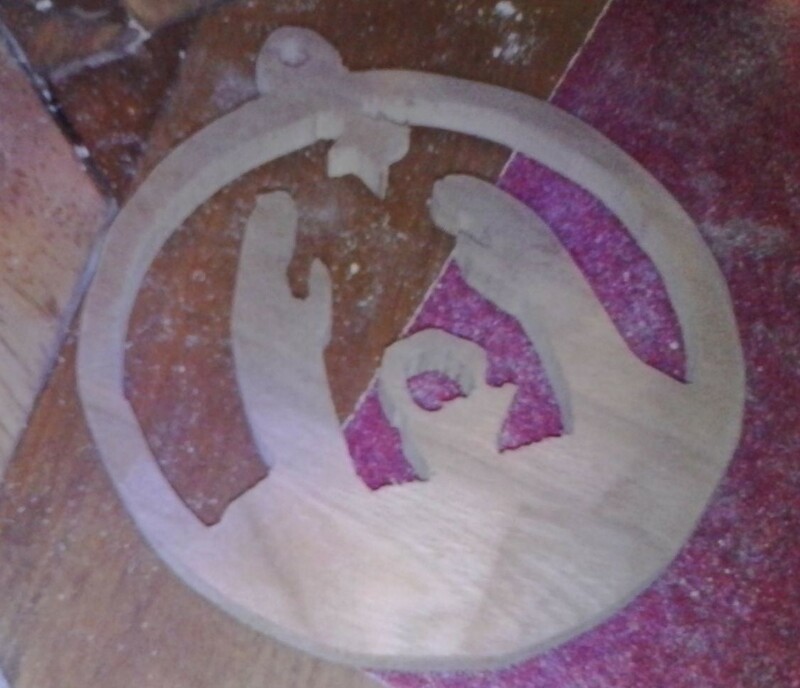 I find primitive ornaments are a great use for scrap wood. Much of the scrap is already distressed so it really is a great fit. Not all of my scrap wood is distressed of course and I can make ornate pieces work too. That’s one of the many great things about working with wood, it cleans up well. all it takes is some sand paper, elbow grease lemon oil and time. 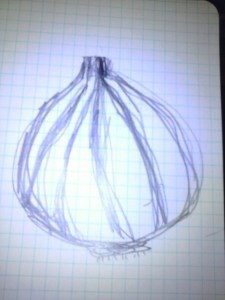 I am also working on My Garlic Festival Application while making and perfecting a garlic ornament. The Southern Vermont Garlic and Herb Festival. It’s a two day event that takes place over labor day weekend each year In Bennington,VT . It is primarily a celebration of garlic and food but there are lots of cool crafts for sale too.It’s a big event and it would be great if I could get in. Reading the application I learned that even craft vendors have to have something garlic themed in their display. That makes sense but I have been thinking about what I could make to celebrate garlic? Originally I was going to make a box to be used as a garlic keeper but that would use a lot of wood. I want to make something that less complicated. I am working on a garlic trivet. It will have a garlic shape in the center and I will use the same shape to make a garlic ornament. I had been having trouble drawing garlic but I have improved and will unveil my garlic trivet and ornament sometime over the next 3 weeks! Do you know of an interesting craft show, festival, flea market or event In New England or New York? Pass on the details in the comments or on my facebook page. This entry was posted in fairs and shows, for sale, ornaments, scrap wood, wood working by brighid. Bookmark the permalink.